The Pop-up bathtub drain is not similar with other drains because it is considered as a trip lever drain that will control the drainage of water with a separate mechanism. The Pop-up bathtub drain would be able to be closed once you have tripped its lever situated right on the faucet of your sinks as well as on or beneath your bathtub’s faucet. You will notice that other drains like non trip lever drains are controlled only by using manual push down as well as the twisting technique. 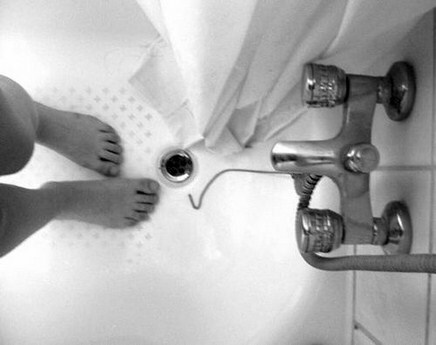 The common types of Pop-up drains that you will find in standard bathtubs are the toe tap which can easily be lifted and closed even by using your toes while you are in your tub. The other one is the lift and turn type that can be opened simply by lifting up the stopper and turning to lock it in place. Both of these types can be easily disassemble while the Pop-up bathtub drain is the most reliable drains recommended for any household. The first thing that you need to do is to locate your drain pipe that is shaped similar to the letter P or S.
You will find a lever which is holding both of the pipe pieces together on your drainpipe. It is also known as P trap or S bend where you need to use a wrench to disassemble both the pieces right above the lever. You should be lifting up your drain stopper so that it will be in an open position. Whenever you are working in the bathtub, make sure that your tub is clean. Wash the surface of the bathtub before you start doing any maintenance work related to your bathtub. Then, you should be placing a towel or rag over your drain stopper in order to protect it from being scratched when you are trying to disassemble it. After that, you should turn the stopper in a counterclockwise manner until you find that the screws are out of the drain. Then, you are able to lift and turn the drain. The drain can be open by using the handle located on the top of it where you would be able to turn and lock it to its required position. You need to grip the top section of the drain which is the part below the handle by using a pair of channel lock pliers. Using a second pair of channel lock pliers, you need to grab the drain handle on top of it. Meaning that you must use the first pair of pliers for holding the drain top sturdy. As for the second pliers, you need to use it for turning the handle in a counterclockwise manner. Whenever you feel the handle, you can proceed to turn the drain. You must make sure that you would be able to pull out the handle straight off from the top of your drain. As for the stopper, it should also be pulled out in similar fashion as you did to the drain. You would be able to disassemble the drain from the trip lever which is normally connected with a metal hook that can be easily slid off. If you want to reuse your existing drain, you need to inspect for any rust or grime on the drain that could result to leaks once you start to use your bathtub again. The pipes can also be cleaned by using a pipe brush and baking powder as well as with cleaning solutions available at your local hardware stores. In order for not scratching the surfaces that surround your drain stopper, you can use the rag or even wrap your plier’s tines using a duct tape. You can also use caulk at the surrounding section of your bathtub drain and overflow drain and after you have finished, you must wash all the excess caulk of by using a moist paper towel. This entry was posted in Home Improvement on March 31, 2012 by Mike.